After configuration of the router i thought of going to sim lim to finish up some purchases and to collect the built pc but ran into some problems. The roads near to the floating platform was closed. So i went around suntec trying to find a way to route to sim lim but I found I was routing in a circle because the road around suntec was also closed. So I decided to stop at suntec to eat and most probably won’t have time to head to sim lim. The thing about ichiban boshi is that each and every ichiban boshi has their own speciality. The other thing is they usually have this 20 plus dollar set that is like their premium meal and they stuff tons of goodies in them. 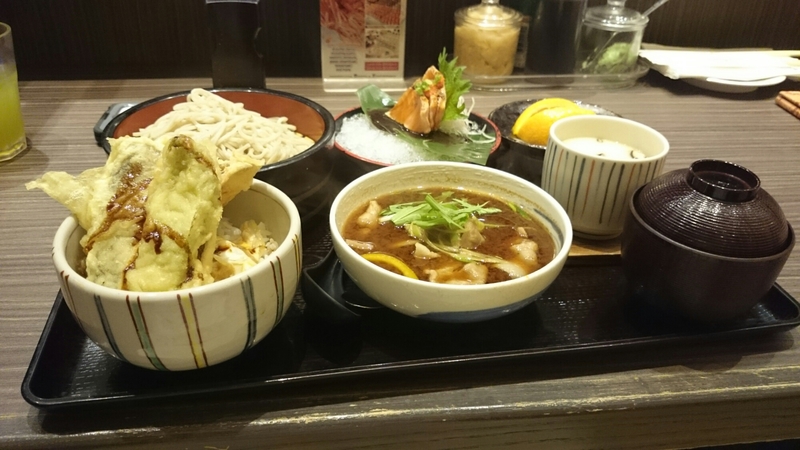 The speciality of suntec ichiban boshi is soba. So i ordered their Kurobuta Tomato Seiro Gozen. The set came with a small rice with 2 fried vege and a fish. Soba. Black pork in tomato borth. Salmon and tuna sashimi. A plate of orange. Chawamushi and miso soup.